Paste is inspired by the idea that small changes can have big impacts, especially when it comes to the challenge of food waste in this country, where 40 percent of the food produced is wasted. To that end, we’re highlighting some of the culinary community’s efforts, large and small, to meet this challenge and use it as a catalyst for creativity (with delicious results of course). This is the first in a series. 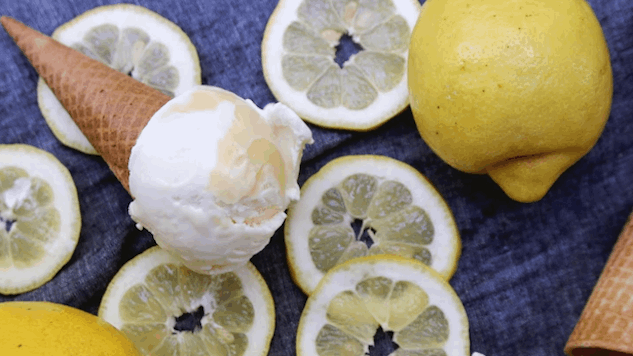 Salt & Straw Ice Cream isn’t your grandpa’s one scoop of vanilla. If most ice cream is a comfortable acoustic jam session on the porch, a Salt & Straw selection would be an arena rock full of flavor with some weird stage props thrown in to wow the crowd. The team creates delicious, whimsical, “what am I eating right now?” flavors that have folks lined around the block, and they’re never one to rest on their accomplishments. They recently gave themselves a creative assignment to develop flavors from rescued foods, and now their adoring fans are enjoying the benefits. For the month of June, Salt & Straw has been selling limited edition flavors in all their markets (Portland, L.A. and San Francisco) made from food waste or rescued food. The Salt & Straw team worked with local gleaning partners working to alleviate hunger in each city, including Urban Gleaners in Portland, Food Forward in Los Angeles and Food Runners in San Francisco to develop the special series. A portion of each June menu sales is being donated to the respective local gleaning partners. The flavors on each menu illustrate creative ways food can be reused, rescued, preserved and redirected, and not just because it is the right thing to do, but because they knew these foods held possibilities for deliciousness. Take, for instance, the Portland flavor, Celery Root & Strawberry Celery Leaf Jam. Salt & Straw got a call from Sauvie Island Organics to make use of this year’s unexpectedly large celery root harvest and helped them clear out their root cellar to make room for the next season’s storage crops. These surplus celeriacs were transformed into an (take it from someone who knows) addictive ice cream. It’s creamy and vegetal, and the pockets of strawberry jam with celery leaf clippings are pairing genius. The Portland monthly flavors are available for national shipping (in addition to the Celery Root, there are four additional special varieties, including Bourbon Distilled Cherries Ambrosia and Breakside Brewery’s Spent Grains and Bacon S’Mores), and flavors will be available in scoop shops locally through Friday, June 30.